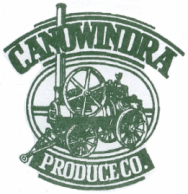 At Canowindra Produce we can take the hassle out of sourcing bulk requirement for Hay and Grain. We can guarantee the quality you are looking for whether it's a feed test for hay or specific requirements for grain. All grain is moisture, protein and weight tested on site as well as screened and checked for insects. This is so we can ensure that only good quality produce is accepted and meets GTA standards. Chaff cutting has been the mainstay of our business. Originating from making chaff on individual farms for the consumption of their draught horses to now fulfilling market demands for the equine industry of Australia and Overseas. All Chaff is steam cut and dust extracted to eliminate the risk of mould spores and dust mites, This special process also minimises leaf shatter which increases the nutritional value of our Chaff range. Types of chaff available are as follows. All grain at Canowindra Produce is produced locally, before we can bag the product it goes through a rigorous grate test to reduce the heavy dust and screenings then packed into 40kg bags, this is to ensure you are getting the highest quality. Oats, Wheat & Barley - 40kg Standard. We export a range of products including containerised wheat and other types of grain. The special process in which we fill these containers means more produce can be stored making it a cost-effective way to export large quantities over-seas. Grain Roasting also known as micronisation is a process which roasts the starch in the grain. It has many benefits over conventional means such as improved digestion, improved performance and is a cost effective way to feed large numbers of stock.